Over the last nine years the N.Y.C. 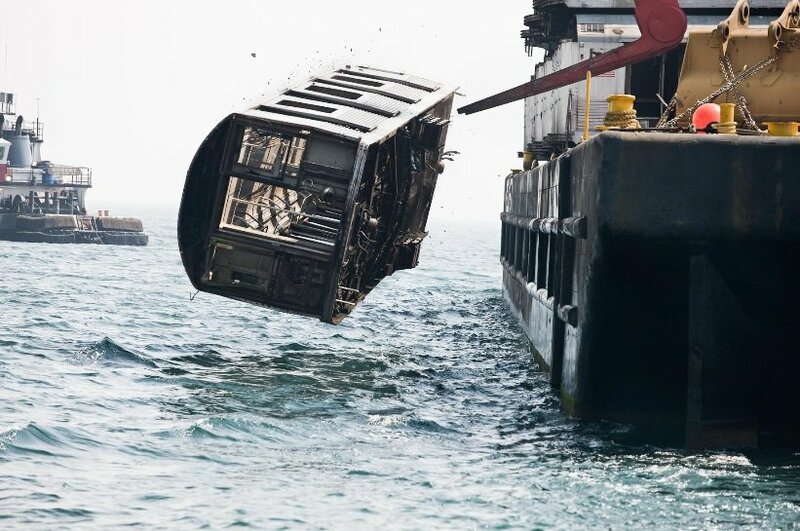 Transit Authority has worked with the national artificial reef building program to sink around 1,800 subway cars. Beginning in 2007, Brooklyn-based photographer Stephen Mallon embedded himself with the maritime company in charge of the dumping operation.